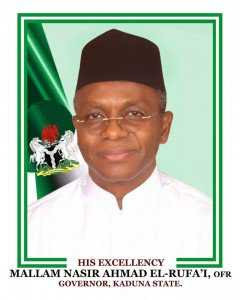 Home / Health / kaduna / Nasir El-Rufai / News / El-Rufai closes Govt House Clinic, redeploys doctors, nurses to General Hospitals. El-Rufai closes Govt House Clinic, redeploys doctors, nurses to General Hospitals. The Government House Clinic in Kaduna has been shut, and its medical personnel have been redeployed to public hospitals. The drugs and equipment in the clinic have also been moved to the Yusuf Dansotho Hospital, Tudun Wada, Kaduna while Government House staff have been directed to henceforth use the Yusuf Dansotho Hospital for their medical needs. The Kaduna State Government said these decisions were taken to boost the healthcare system in the state by moving medical personnel, drugs and equipment to public hospitals. "There are not yet enough doctors in the public health system in Kaduna State," notes Samuel Aruwan, spokesman to the Governor, Malam Nasir El-Rufai. "Therefore it is not prudent to assign doctors, nurses and other medical staff to serve Government House alone. It is clearly more beneficial to the wider society if the services of these medical personnel were made available to the public in a general hospital. In addition, it is better that everyone working in the Government House uses the same health facilities as the general public." Aruwan confirmed to journalists in Kaduna that the directive has been implemented. "Medical personnel from the Government House Clinic have been redeployed to public hospitals in the state. All drugs and medical equipment in the Government House Clinic have also been evacuated and are being put to use at the Yusuf Dansotho Hospital. "From now on, all Government House staff requiring medical services will proceed to the nearest public hospital to the Government House like other citizens of the State. It is expected that the management of the public hospitals will make good use of the medical personnel, drugs and equipments donated to them." Dr. Muhammad Bello Armaya'u, medical director of Yusuf Dansotho Hospital, confirmed that the hospital has received the drugs and equipment. He thanked the Governor for the move, promising that the hospital will make good use of the extra capacity it has received.